Remember when you were little and your goal in life was to be a princess or ballerina? That didn’t happen for most of us, but that doesn’t mean we can’t wear a pretty dress and a smidge of pink from time to time. Even if you’re just looking to add a girly dash of femininity to an otherwise androgynous ensemble, you’re sure to find feminine elements to add to your wardrobe with our 16 lovely suggestions. Scroll down to shop some serious sartorial eye candy. Both the length and relaxed fit of this pencil skirt are perfection. More sizes here. These retro shades are pretty and cool. 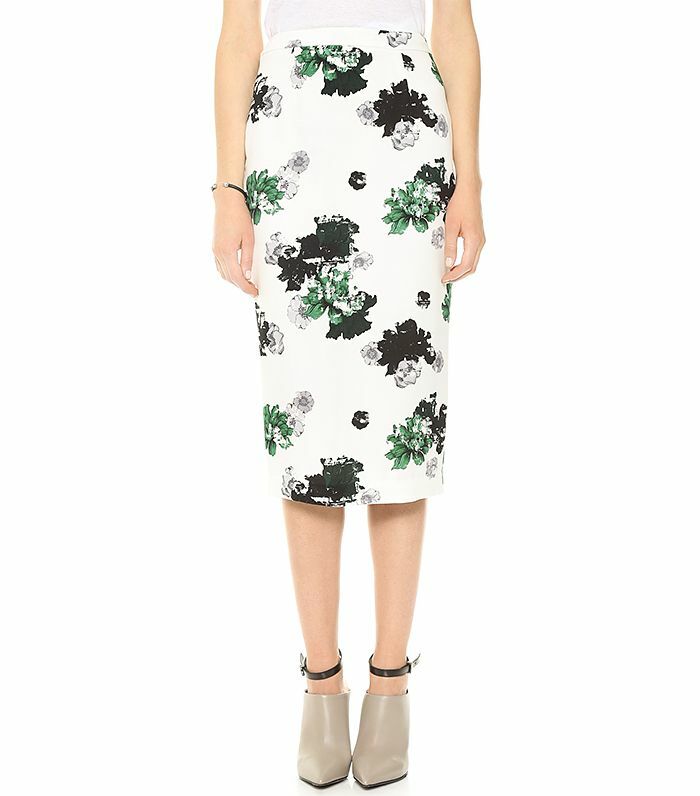 This is the perfect floral dress for fall. A moody mauve hue keeps this full skirt from being too saccharin. We love the idea of pairing this peplum with a sleek leather pencil skirt. Cool shades of blue lend an ethereal quality to this dainty, timeless ring. We plan on pairing this sweet rose-colored skirt with an oversized sweater and oxfords this fall. This slightly cropped and boxy top is all kinds of gorgeous. If Cinderella were a cool girl, she’d wear this dress. You can and should wear furry pink heels when given the opportunity. Want to soften a menswear-inspired piece? Put a bow on it. Meet your new, practically perfect, nighttime bag. This emerald maxi dress is simply stunning. A little bit of edge and a little bit of pretty make for one killer pair of earrings. You won’t miss your heels when you’re donning this pair of stunning flats. The pretty-making powers of this lovely frock are no joke. 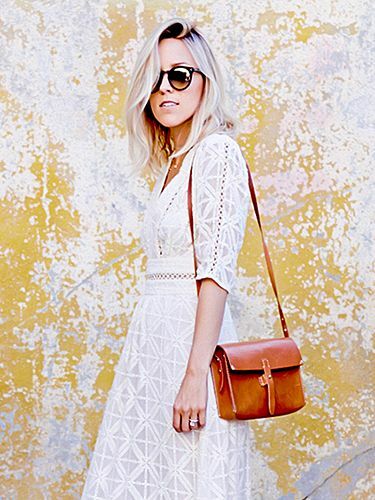 Is your style full-on feminine, or do you prefer just a dash? What do you like to wear when you want to feel pretty? Sound off in the comments below!